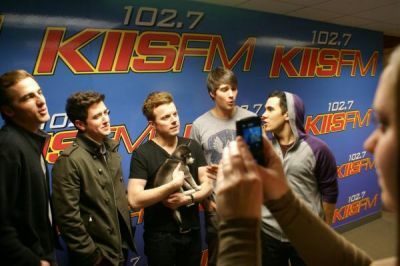 January 12, 2012 - Big Time Rush in the Studio with JoJo Wright. . Wallpaper and background images in the Big Time Rush club tagged: big time rush kendall james carlos logan. This Big Time Rush photo might contain signe, affiche, texte, tableau noir, tableau, affiches, multiplex, anime, bande dessinée, manga, and dessin animé. photo leaked from "Big Time plage Party"